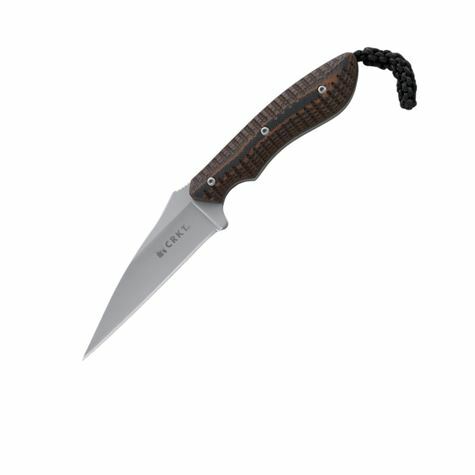 Liten neck knife med grep av sort og brun G-10. Wharncliffe blad i rustfritt 5Cr15MoV stål. Leveres med støpt nylonslire med snor og belteclip. Specifically Built for Anything that Needs to be Cut. 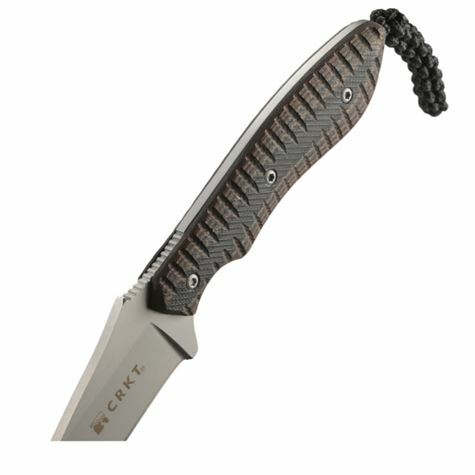 A compact fixed blade neck knife with a Wharncliffe-style blade and tough G10 handle, it feels equally at home in the woods or around the house. The S.P.E.W.™ (Small Pocket Everyday Wharncliffe) is designed by Alan Folts of Melbourne, FL. A designer and dedicated custom knife instructor with over 20 years' experience, he cares deeply about helping folks learn about knives as tools, and passing along the skills of custom knife making to others. 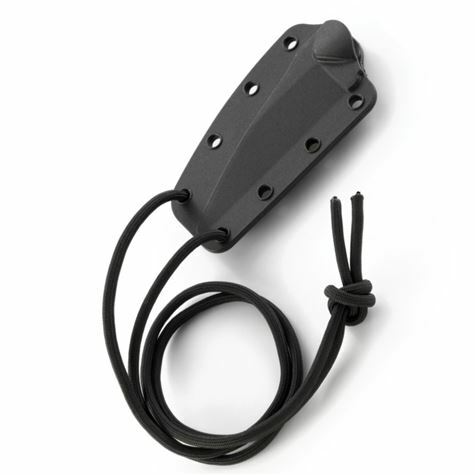 Let your first two fingers take hold of the G10 handle. Wrap the last two around the cord fob for extra grip. Then see where you can go with it from there. 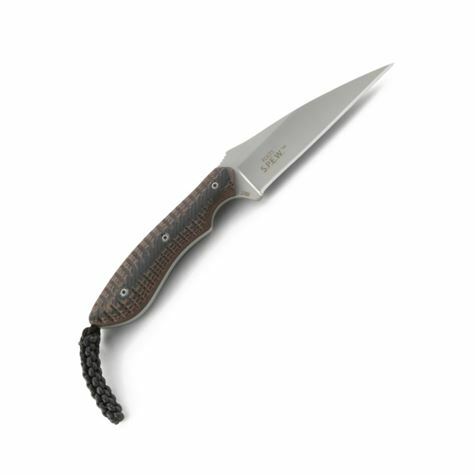 You'll find it's tough to argue against the value of having a knife along with you, especially one as versatile and comfortable as the S.P.E.W.™ It's slim in design only, not features. 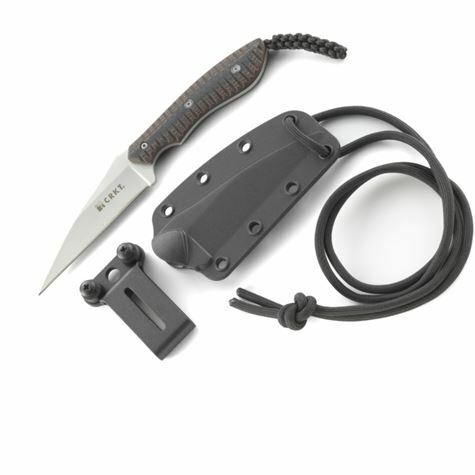 The S.P.E.W.™ comes with a versatile carry sheath. Not that you'll be keeping it in there for long. Take it with you for when you might need it most—all of the time.